Joel Huotari is a partner at WilliamsMcCarthy LLP with a diverse practice in the state and federal courts. His clients range from individuals to multinational corporations. 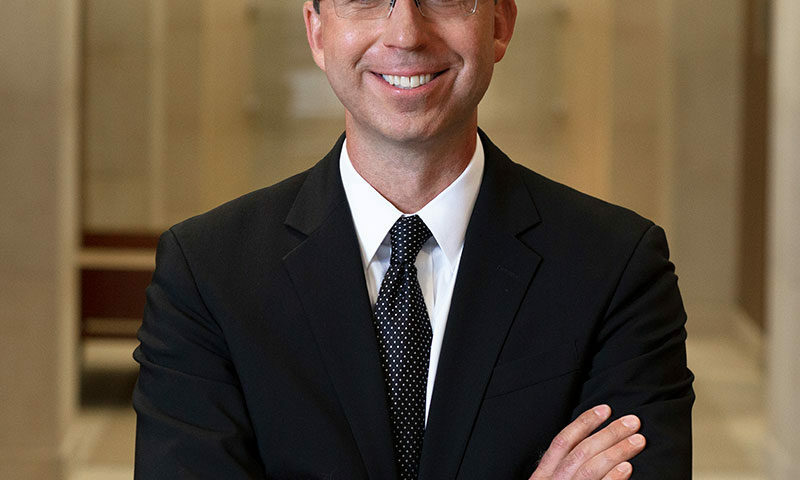 In addition to being admitted to practice in the state and federal courts throughout Illinois and Wisconsin, Joel is also a registered member of the Trial Bar of the United States District Court for the Northern District of Illinois, and routinely hears cases as an arbitrator participating in the Illinois 17th Judicial Circuit’s Court Annexed Mandatory Arbitration Program. Joel frequently serves as local counsel for attorneys from other jurisdictions and welcomes referrals. Prior to attending law school, Joel graduated with high honors from Elmhurst College and studied abroad at the University of Oxford. Joel is an honors graduate of the Northern Illinois University College of Law where he was Editor-in-Chief of the NIU Law Review. While a law student, Joel also had the privilege of working for the United States Attorney’s Office in Chicago, the Appellate Defender’s Office in Ottawa, and various state and federal judges. 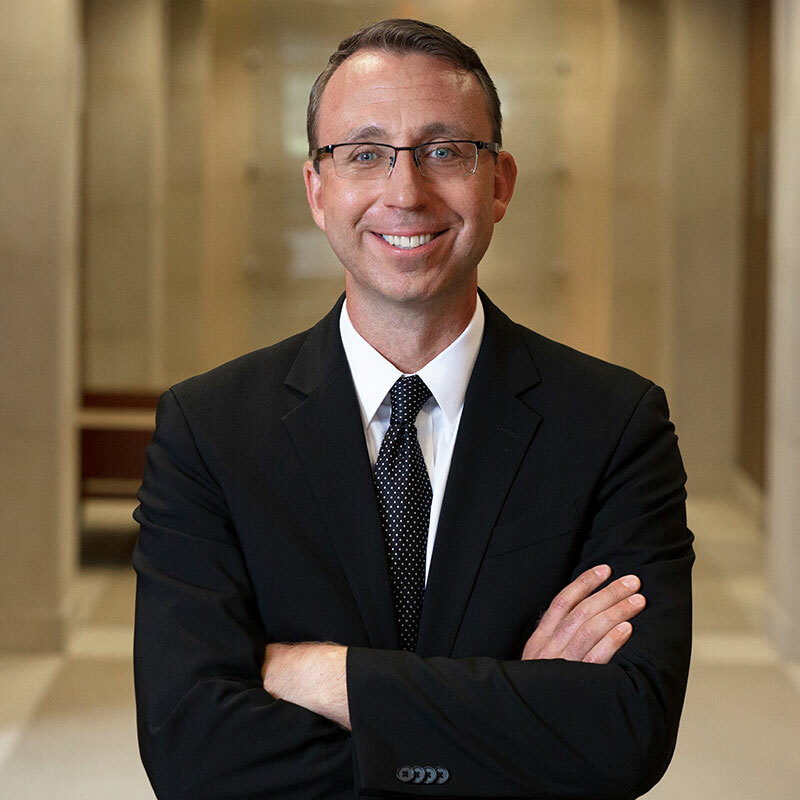 Following law school, Joel served for two years as law clerk to the Honorable P. Michael Mahoney of the United States District Court for the Northern District of Illinois. Trying a federal commercial litigation case “on the papers” under Fed.R.Civ.P. 52, in which his client, Arctic Cat, was awarded its attorney’s fees as a prevailing party under the Copyright Act, 17 U.S.C. § 505, after having defeated an $11 million dollar claim on summary judgment. Trying a week-long wrongful death jury trial with his partner, Jim Devine, which exonerated the firm’s client of any wrongdoing, despite plaintiff’s request for a $12,500,000 award from the jury. Trying a “Wrongful Tree cutting Act” case under 17 ILCS 185/1, et seq. with his partner, John Holevas, which exonerated the firm’s client of any wrongdoing, despite plaintiff’s request of over $4 million in damages. Trying a case under the Illinois Sales Representative Act, 820 ILCS 120/1, et seq. Winning summary judgment in a wrongful death case, in which the Court held that his client owed no duty to prevent the unforeseeable electrocutions of decedents, and that the client was otherwise immune from liability due to the exclusive remedy provisions of the Worker’s Compensation Act, 820 ILCS 305/5(a). Successfully representing Texas veterinarians and ranchers in a federal civil forfeiture case under 18 USC § 981(a)(1)(c), relating to Rita Crundwell’s embezzlement of $53 million from the City of Dixon, and the clients’ liens on Crundwell’s Texas horses, which were seized by the United States. See United States v. Have Faith in Money (N.D. Ill. 2012). Defending home builders throughout the Midwest sued for violating the Copyright Act and the Digital Millennium Copyright Act (DMCA, 17 USC § 1202) for using allegedly infringing blueprints and home plans. Winning summary judgment in a federal breach of contract / promissory estoppel case, in which his client, a national transportation company, was exonerated despite a claim for $1,700,000 in damages. Litigating federal suits on behalf of multi-employer benefit plans to enforce the terms of collective bargaining agreements which compel plan participants to make monthly contributions toward their employees’ pension, health and welfare funds under ERISA (29 USC § 1132). These cases routinely involve post-judgment collection proceedings in federal court, such as citations to discover assets, third party citations, and garnishment proceedings. Defending manufacturers sued for purported breach of supply contracts, such as those utilizing “kanban” or “just-in-time” replenishment techniques. Successfully defending an aerospace company and its principals against allegations of fraud brought by a former investor and employee. Bringing suit on behalf of an entrepreneur and his cloud-based computer software company alleging copyright infringement, violations of the Digital Millennium Copyright Act (DMCA, 17 USC § 1202), Lanham Act (15 USC § 1125), and the Illinois Uniform Deceptive Trade Practices Act (815 ILCS 510/2). Defending restaurant / bar owners against federal suits brought by cable or satellite companies alleging civil conversion and claims under the Cable Communications Policy Act of 1984 (47 USC § 521, et seq.) and Chapter 119 of the U.S. criminal code, titled “Wire and Electronic Communications Interception and Inception of Oral Communications” (18 USC § 2511), also known as “pirated cable” or “cable theft” cases. Defending individuals against suits brought by “copyright trolls” alleging the unlawful downloading of copyrighted movies online by use of BitTorrent technology, or other peer-to-peer file sharing technology. Successfully defending homeowners in litigation initiated by their general contractor, which involved asserting an affirmative defense under Illinois’ Home Repair and Remodeling Act, the application of which was affirmed on appeal. In addition to defeating all of the contractor’s claims in that case, the homeowners’ counterclaim against the general contractor for breach of contract was ultimately successful, resulting in a payment from the general contractor to the homeowners. Defending a homeowner sued for the negligence of one of his social guests under Section 318 of the Restatement (Second) of Torts. The lower court’s decision to dismiss the count brought under Section 318 was ultimately upheld on appeal in a published decision, which clarified Illinois jurisprudence by declaring that Section 318 of the Restatement (Second) of Torts had not been adopted in Illinois, contrary to prior judicial statements to that effect, such that homeowners in Illinois do not generally owe a duty to protect their guests from the intentional or reckless conduct of other guests. Tilschner v. Spangler, 409 Ill.App.3d 988 (Ill.App.2d 2011). Litigating personal injury and wrongful death suits, including motor vehicle accidents and electrocutions. Litigating nursing home abuse and neglect cases in state and federal courts under the Illinois Nursing Home Care Act, 210 ILCS 45. Litigating whistle-blower cases brought under the qui tam provisions of the False Claims Act (31 USC § 3729, et seq.) for Medicare fraud. Litigating excessive force, unlawful search and seizure, and civil rights cases. Litigating a wide variety of insurance coverage disputes and declaratory judgment actions, including those concerning coverage for environmental claims. 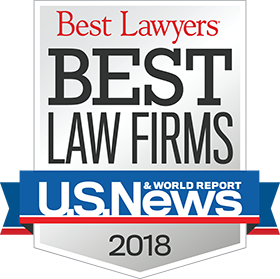 Litigating a variety of trust and estate disputes. Litigating shareholder derivative cases under Fed.R.Civ.P. 23.1, and shareholder oppression cases under 805 ILCS 5/12.56. Litigating trademark cases under the Lanham Act, 15 U.S.C. § 1125(a), and unfair competition / deceptive trade practices cases under Illinois common law, the Illinois Consumer Fraud and Deceptive Trade Practices Act, 815 ILCS 505/1, and the Uniform Deceptive Trade Practices Act, 815 ILCS 510/1. Registering clients’ trademarks with the United States Patent and Trademark Office (“USPTO”). Registering clients’ copyrights with the United States Copyright Office. Litigating disputes over commercial leases. Joel is active in the community, and has served on the board of directors for the Winnebago County Bar Association, Shelter Care Ministries (a non-profit dedicated to serving homeless families and adults suffering from mental illness), the Discovery Center Children’s Museum in Rockford, Illinois (rated by Forbes as one of the 12 best children’s museums in the country), and the Riverfront Museum Park. Joel is also a member of the Wisconsin Bar Association’s Intellectual Property & Technology Law Section Board of Directors.